Victor Sebestyen's riveting biography of Vladimir Ilyich Lenin—the first major biography in English in nearly two decades—is not only a political examination of one of the most important historical figures of the twentieth century but also a fascinating portrait of Lenin the man. Brought up in comfort and with a passion for hunting and fishing, chess, and the English classics, Lenin was radicalized after the execution of his brother in 1887. Sebestyen traces the story from Lenin's early years to his long exile in Europe and return to Petrograd in 1917 to lead the first Communist revolution in history. Uniquely, Sebestyen has discovered that throughout Lenin's life his closest relationships were with his mother, his sisters, his wife, and his mistress. The long-suppressed story told here of the love triangle that Lenin had with his wife, Nadezhda Krupskaya, and his beautiful, married mistress and comrade, Inessa Armand, reveals a more complicated character than that of the coldly one-dimensional leader of the Bolshevik Revolution. With Lenin's personal papers and those of other leading political figures now available, Sebestyen gives is new details that bring to life the dramatic and gripping story of how Lenin seized power in a coup and ran his revolutionary state. The product of a violent, tyrannical, and corrupt Russia, he chillingly authorized the deaths of thousands of people and created a system based on the idea that political terror against opponents was justified for a greater ideal. An old comrade what had once admired him said that Lenin "desired the good . . . but created evil." This included his invention of Stalin, who would take Lenin's system of the gulag and the secret police to horrifying new heights. VICTOR SEBESTYEN was born in Budapest. He has worked as a journalist on many British newspapers including The Times, the Daily Mail, and the London Evening Standard, where he was foreign editor and editorial writer. He has also written for many American publications, including The New York Times, and was an editor at Newsweek. He is author of Twelve Days: The Story of the 1956 Hungarian Revolution, Revolution 1989: The Fall of the Soviet Empire, and 1946: The Making of the Modern World. 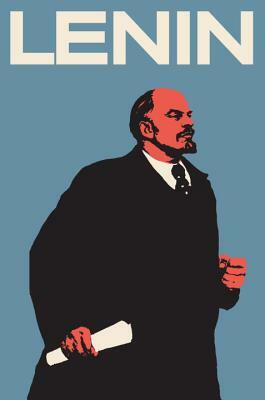 "[An] excellent, original and compelling portrait of Lenin as man and leader." "A vivid and rounded picture of Lenin the man. Serious and deeply reserved, the great revolutionary had few friends but loved at least two women deeply, and at the same time. Lenin's life has been told before, but Sebestyen brings to the task a gift for narrative and for describing his rich cast of characters." "An entertaining read . . . Sebestyen writes in a lively journalistic style and has an eye for memorable anecdotes and quotations . . . He brings Lenin the man to life and shows persuasively how 'he was driven by emotion as much as by ideology.'" "Sebestyen brings Lenin's complexities to life, balancing personality with politics in succinct and readable prose, [and] describes particularly keenly how this ruthless, domineering, often vicious man depended on women to sustain him. "